As the Salt Lake City Real Estate market begins to become even livelier with the busy spring season; you may feel that now is the ideal time to buy a Salt Lake City home! Whether you’ve been renting in Salt Lake City or plan to relocate to the area; you’ll find that this vibrant town offers a great lifestyle and many beautiful homes from which to choose. If you’ve started researching the current housing market; you may have seen reports regarding the new regulations for qualifying for a home loan. Before becoming discouraged about the entire home buying process; know that, although it may be harder to qualify for a home loan, it’s not impossible! Lenders have tightened the reins on who is able to qualify for a home loan because of the strain of the past few years. They feel that having a better handle on who is buying a home will cut down on the number of distressed properties in the future. Qualifying for a home loan may just take a little extra work prior to applying, but that time will be well worth it in the long run. Below are four tips to help with the process of qualifying for a home loan. After all, you want to make sure to get approved as soon as possible to ensure you are able to get in on the Salt Lake City homes that are fresh on the market! 1. Budget Wisely- To make sure that you're not borrowing beyond your means, it's a good idea to follow the Federal Housing Administration guideline. The FHA determines what 31% of your gross monthly income and will not let you borrow more than that for a home loan. Being wise with your budget and not stretching yourself too thin will make it easier on you in the long run. 2. Build up Your Credit Scores- Lenders are now expecting a credit score of 600+ even for FHA loans. 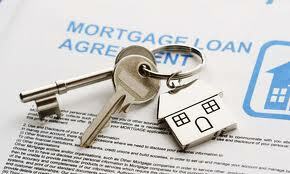 Having a good credit score is imperative in being approved for a Salt Lake City home loan. Taking time to build up your credit scores will result in lower payments each month as the interest rate will be lower. 3. Determine Your Best Option- There are many other factors such as the type of loan and discount points that will play a role. If you're not sure of where to begin or what your options are your Salt Lake City Real Estate agent can answer your questions and be a great resource for you. 4. No-Closing-Cost Loan May Be an Option- Being able to choose a no-closing cost loan means having positive equity, but not having as much cash up front. If you go with a no-closing cost loan, you'll have a higher rate because you'll be paying the closing costs over time instead of at the time of closing on your new home. I hope these tips are helpful as you begin the process of qualifying for a home loan! If you have any additional questions about qualifying for a loan; please let me know and I’d be happy to answer your questions! Or, if you’ve already qualified and are ready to begin your Salt Lake City home search; I would enjoy the opportunity to help! My goal is to not just help my clients find a house, but to walk with them through the entire process and make sure they find a place that feels like home. Feel free to contact me today to get started!